Set in ancient Greece, Golden Goddess is one of the biggest pokies from IGT and as they are one of the biggest developers of casino games, this makes it a hugely successful game that’s enjoyed across the world at the many sites which carry software from the company. Some of the appeal is surely down to a stunning design, with realistic images of a beautiful Goddess and her handsome suitor, along with roses, a flying horse and the playing card symbols, but much it will also be due to the bonuses like free spins, wild substitutions and a Super Stacks feature that turns entire reels into matching symbols. Playable from 0.40 per spin, all the way up to 200.00, it’s got 40 paylines running across the 5 reels, symbols arranged in 3 rows and a standard way to create wining combinations, with 3, 4 or 5 of the same symbol time across a line running left to right being enough to win a prize. Something that will immediately be noticed is the background picture that sees forests, mountains, temples and a golden sunset, with a fancy gold framework to the reels making this an attractive game, but it’s what happens when symbols line up that makes it so special. Before each spin, any symbol will be randomly picked to be stacked on any reel it appears on. This Super Stacks format can result in multiple reels filled with the same symbol for lots of winning lines created in a single turn, although it’s not guaranteed of course as the casinos’ still need to keep their house edge and paying out on every spin isn’t great business. A look at the paytable reveals what each symbol combination is worth, starting with the 10 that’s valued at 1, 6 or 11 coins when 3, 4 or 5 land across a line, with the A being the most valuable card symbol at 5, 10 or 15 coins. A white dove, along with the horse are next, but the top of the table sees the man and Goddess only needing to land on 2 reels to pay out a prize, and there’s up to 50 coins when the main character lands across 5 reels. These wins are dwarfed by the payouts for the game logo symbol, that’s worth 10 coins for landing on reels 1 and 2, going all the way up to 1000 when it fills a line across all reels. 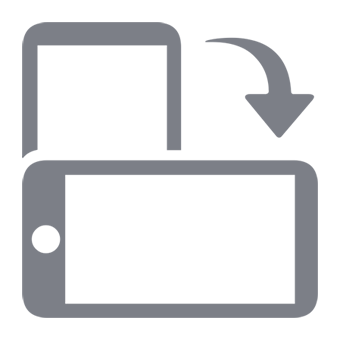 This Golden Goddess logo is also a wild symbol, so it can act as all except the rose to help complete winning lines. The reason it can’t act as the rose is because this is launches a free spins round whenever it turns up in the game, right across reels 2, 3 and 4 at once. Players are awarded 7 free spins, but before they begin, players need to click one of the roses which will reveal a symbol that will be Super Stacked across the reels throughout the round. Only the high value picture symbols will be stacked, so any wins should be big ones, and although the rose isn’t on the reels and therefore the round can’t be retriggered, 7 spins can be enough to see plenty of wins paid out. 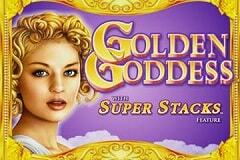 There’s a couple of outstanding features to Golden Goddess that have helped to make it such a popular game. The first one that players will notice is the design, which sets it firmly in an ancient civilisation, and as we all know, this is probably the most popular topic for pokies to follow. This game does it in style though, as the background image is beautifully drawn and the character symbols are equally striking. However, looks are not everything and the other feature that sets Golden Goddess apart are the Super Stacks of symbols. Having a randomly-picked symbol stacked across any reel it lands on greatly increases the odds of it lining up a win and lucky players will see the high value ones selected for the chance of the bigger rewards. The free spins game may have just the picture symbols stacked throughout them, but it’s a shame only 7 games will play out and they can’t be retriggered by more roses. That’s the only real negative in Golden Goddess and it’s not really a major issue, so players who like the ancient Greek theme should pay this game a visit at the multitude of land based and online casinos that carry the IGT range.